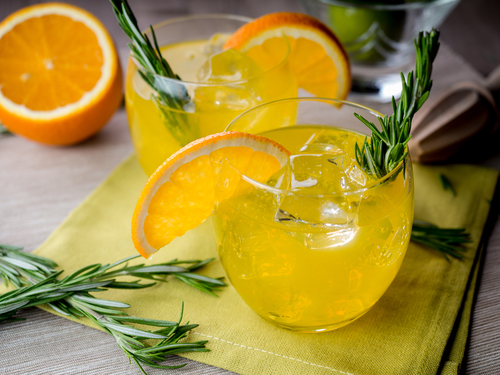 One of the great pleasures of summer in the Netherlands is sitting in the evening sun on a cafe terrace watching the world go by with a nice G&T, writes DutchNews.nl editor Robin Pascoe. Gin and tonics have been a part of my life for as long as I can remember. The Gordons in its dark green bottle was a permanent fixture in my parents’ drinks cabinet and the tonic was Sssh you know who Schweppes, without exception. As a student, cider was my drink of choice – it was cheap and I hated it, so a pint would last all night – but when I started working for the BBC in London, a G&T in the BBC club or a nearby pub was the order of the day. In the Netherlands too, gin has been my favourite tipple for years – although the impossibility of finding a decent tonic anywhere did somewhat spoil the moment. That wretched Royal Club in every AH or Gall & Gall is just too sweet. So when the G&T craze first hit the Netherlands I was delighted. For a start, it gave me a veneer of hipness. I was no longer the weird English woman who wanted ice and lemon in her drink. Other, more bitter tonics were on offer – as were other gins. The choice quickly became bewildering – as did the variations on a theme. You could chose from twenty, 30, 40 different types of gin and every flavour of tonic possible – some of which cost more than the gin itself. Fabulous. Alas, my hipness was short lived. I now find myself back to square one when I order my pre dinner G&T in a bar. And they look at me like, ‘duh?’. It takes them a while, but eventually I get my drink even though they never get it right about the ice. So I then spend a few minutes with the cocktail stirrer – why does everyone put it in upside down? – trying to fish out some of the 20 ice cubes which have been packed into my glass and dispose of them discretely somewhere. By which time half of the ice has melted and I have dripped drink all over the table. Can it get any worse? Oh yes it can. Last week in some hipster joint I was served a gin and tonic in a jam jar. I am now moving on to Pimms.